The annual rollover of Blackboard modules completed on Friday so you should now be able to see your 2018-19 modules in your course list. If your school has chosen to adopt a new template for the 2018-19 academic year, then your modules will have been held back from the normal rollover process. You will need to copy content from your 2017-18 modules into the new empty 2018-19 modules that have already been created. If your modules did rollover last week (week commencing 23rd July), you will no longer need to delete Turnitin assignment submission points from your new modules. This is something you will have had to do in previous years but colleagues in NUIT have successfully run a script which has stripped these out for you. 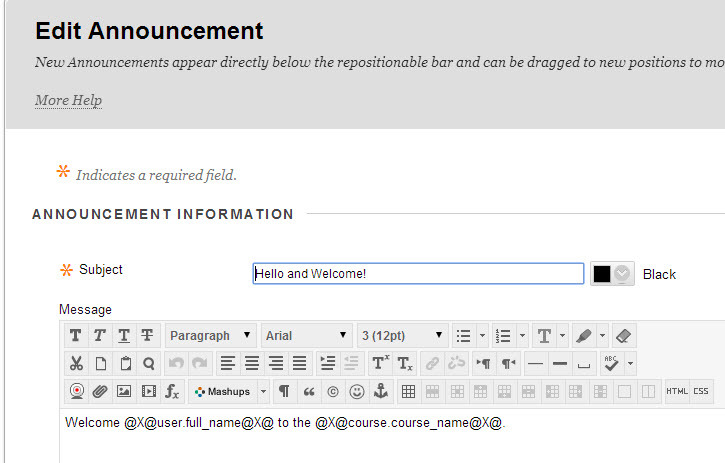 If you have any questions about rollover or using your new Blackboard template, then please contact LTDS@ncl.ac.uk. The Blackboard baseline sets out the core minimum requirements expected on all modules within the centrally supported Virtual Learning Environment. This was previously known as the VLE threshold standard. Why do we have the Blackboard Baseline? What is in the Blackboard Baseline? Reading List where appropriate – If using the reading list online system – otherwise this will have to be entered manually. Assessment information including details of the type and weighting of the assessment. This is brought in directly from MOFS. Learning materials should be named consistently with a clear filename. Any teaching material uploaded must conform to the University guidance on copyright and intellectual property. This should contain the key assessment information including weighting and schedule of assessment. Info on the form of assessment, the criteria, and schedule for feedback to be returned to students. It may also include guidance on the University policy for the return of feedback. In response to previous years module evaluations, the summary of the outcomes from the evaluations should be published as well as any actions resulting from them. Key module information and teaching materials should be presented in a consistently named content area across modules. These are determined by the school/subject. It is for academic units to decide whether the consistent layout should apply across a school or at subject level. This requirement could be met through the adoption of a module template. Schools should start to consider the adoption of a module template. We can create the courses in Feb/March with the new template to give a lot of time to transfer content across. LTDS can facilitate School-based sessions in PC clusters to support academic staff with the moving of content. Announcements – use them to email students. If using an announcements page, make this the module landing page in Bb. Online collaboration – consider providing students with the opportunity to collaborate online within the module/community. Blackboard Tests – can be used for diagnostic assessment, a revision aid, and as a means for students to evaluate their own progress. Students can be provided with instant feedback. Blackboard runs over a secure protocol to protect security (https) so it will not allow the majority of websites to open within Blackboard itself. When creating links to webpages, please choose ‘Open in New Window‘. This is a setting when creating or editing your link and is in the ‘Web Link Options‘ section. It is advisable in the description box, to inform students that they will be taken to a new window. This is particularly beneficial to students who require a screen reader. Nick Cook and teaching staff in Computing Science use templates to help ensure that their Blackboard materials are easy to find and use. Nick said: ‘Basically students had said that they often found it difficult to navigate Blackboard modules as each module was divided up totally differently in another, making it hard to work out where lecture notes or even assessment information might be. ‘We decided that what we needed was an agreed format , so that every module had the same folders, with the same names, for the same sorts of materials. The folders they selected were: Announcements, Teaching Materials, Assessments, ReCap Recordings, Contacts and Overview. They made sure that, at least for student’s viewing Blackboard, both menus matched up, so that they no longer had to click through so many folders to find key information. Nick said: ‘LTDS provided us with basic templates but staff across the School just updated their own modules. ‘Although people were unsure at first, afterwards staff commented on how refreshing it was not to be faced with lots of muddled and overflowing folders. Students also found the system much easier to use and no further comments were received about confusing Blackboard modules or materials which were difficult to find. You can read the whole Case Study on our Case Studies Database. Do you have a potential Case Study of Good Practice in learning and teaching? Submit it online or email katherine.cooper@ncl.ac.uk. We just had to re-post this excellent guide to Netiquette, online etiquette for students. 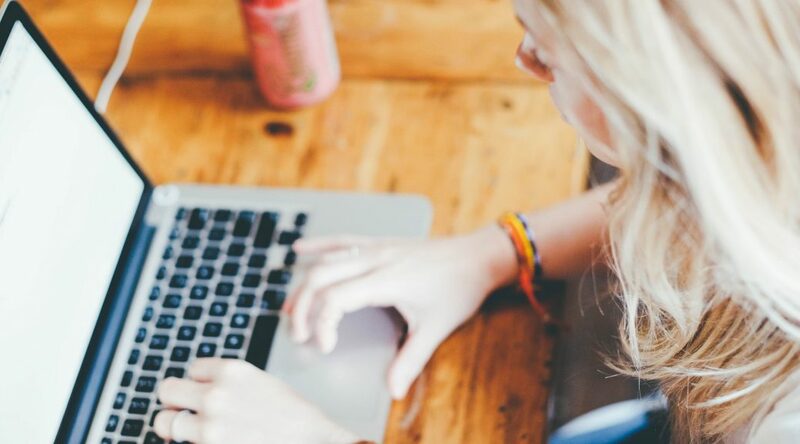 If your course contains online elements like a discussion board, blog or Twitter, this guide is a great way of talking with students about how to interact with each other in an academic setting. Feel free to take it and adapt it in whatever way suits your course or students! 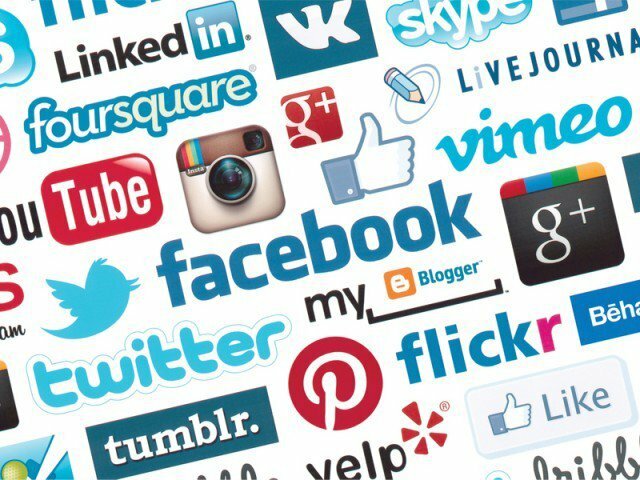 ‘Netiqutte is a set of informal rules or conventions which can help ensure your online communication is clear, respectful and courteous. There are numerous versions of netiquette rules in existence however they all have the same central message: Be nice to each other, stay on topic and do the best you can. •Remember where you are and act accordingly. Robust discussion, or critique in a blog or discussion board does not require insults or slights. •DON’T SHOUT: TYPING IN ALL CAPS IS PERCEIVED AS SHOUTING. Use your Shift key. •Be careful with your language and remember your audience – some conversational language and common idioms may not mean the same things to other readers. •Write sentences, consider using paragraphs, and use punctuation (it’s free!). •Construct informative subject headings: A thread or post titled ‘Some reasons for Henry’s military success’ will be much more informative in a discussion about Henry ll than one titled ‘Henry’. •Use formatting, bullet points and headings where necessary to add clarity to your communication. •If your question or post in a discussion board is off topic but still related to the discussion begin your subject title with OT: to mean off topic. If your post is significantly or perhaps completely off topic, post it in another discussion room, perhaps the one set up for general questions. •If your tutor asks you to reply in a specific thread please do so, don’t start a new thread. •Avoid repetition. If another student posts a message making a point with which you agree, resist the temptation to post lots more messages saying ‘Me too’ or ‘I agree’. You should always say more, perhaps explain why you agree, or bring more evidence to support your position. Equally, if you disagree, explain why. •If you quote from other people’s messages in yours, be careful to ensure the meaning of their words remains intact. People may be offended if you misquote them. •Quote only where necessary. In a threaded discussion you don’t need to quote all of the text that came before yours. In a blog comment, a small quote from the original post will help contextualise and anchor your reponse. •Be aware of copyright. Ensure that any material you reuse in your online communication is free from copyright issues. If you did not create the content yourself, you will need to check copyright. You can read the original piece here. I discovered this blog posting by Eric Silva last week and thought I would post a brief message about it. 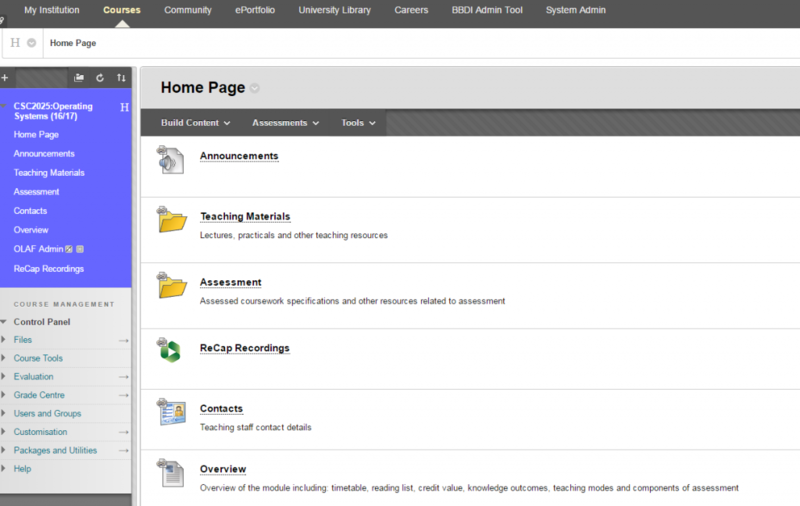 Blackboard holds various pieces of information in its database about users, modules and Communities. These are held in variables and if you know what these are you can display them back to the person logged in. Here is the display to the person logged in (me in this case). There’s no longer a need to upload then to NUVision as one process, then add them to Blackboard as another. The Wiki allows you to create a collaborative space for your students to use. They can add/edit existing pages or create new ones and link them together to create a series of web pages. 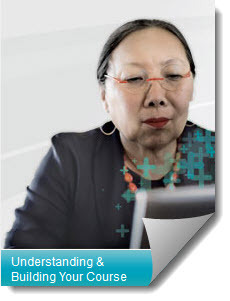 Blackboard Inc. have created a series of online resources explaining how to view, grade, edit and add content. These can all be accessed at this web address. Blackboard Inc have created a set of online resources comprising of online video clips and documents that can be openly accessed. Our installation of Blackboard is version 9.1 SP13, so wherever you see this mentioned on that web page or any number lower than this, e.g. SP12, SP8 etc we will more than likely offer this feature. The online clips can be viewed with the audio switched on or if you are in an environment where you are unable to play the audio select the CC icon to see text captions displaying the narrators commentary. Any aspect of viewing, adding or editing content will be covered on this page. They can save you a great deal of time creating your own and can also give you some ideas on how you want to present your learning and teaching activities.